What a great hike to the top of Mt Kit Carson today! Love this mountain! On the sidelines of the Eastern vs Mt Western football game! I was nominated for the ALS ice bucket challenge from my buddy Steve Mahr. 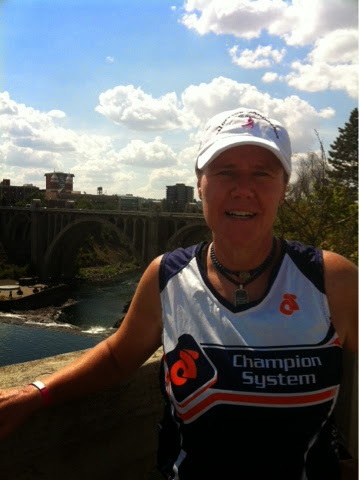 I in return challenge Hakan Kaya and Melanie Bergman from Cancer Care Northwest and Michele Pratt Treece from Spokane Orthopedics! 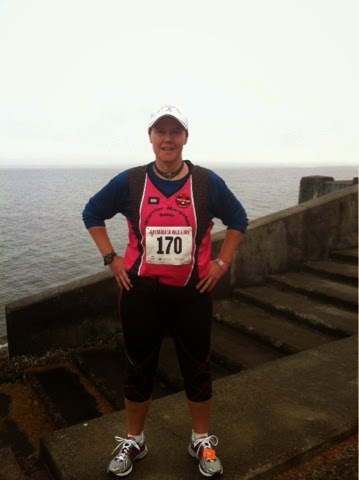 What an honor to be the Honorary race starter and inspirational speaker at the Alki Beach Run! 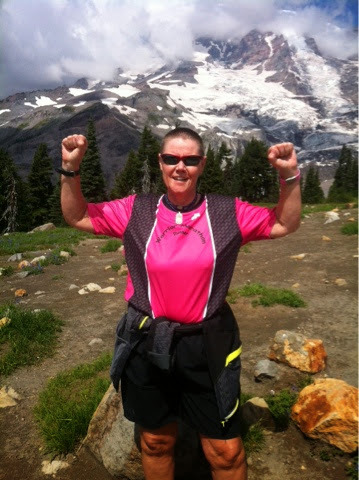 What a great day hiking the trails of Mt Rainer! 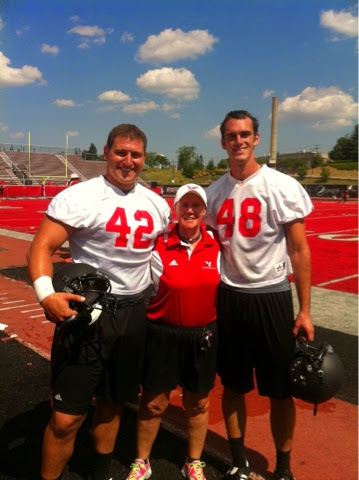 What a pleasure to spend the afternoon at practice with the Eastern Washington University football team! What an Awesome group of young men! 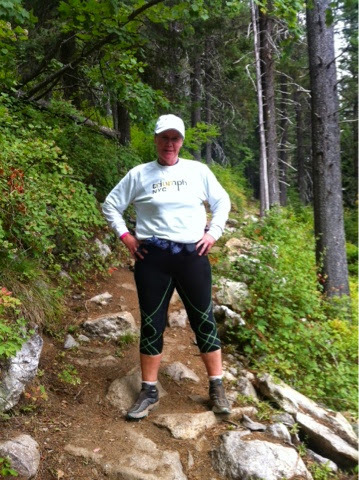 Great day on the Centennial Trail downtown. 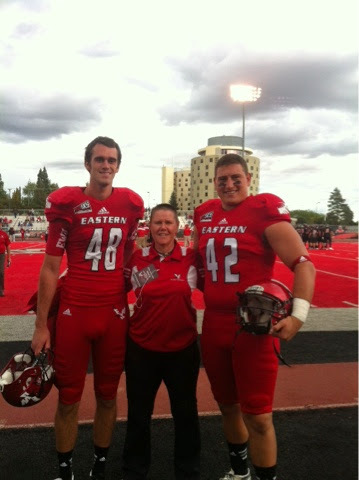 Looking forward to spending the afternoon tomorrow with the team at the Eastern Washington University football practice. 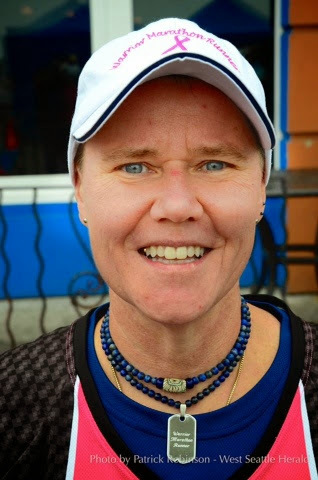 Great shout out in the West Seattle Herald about my appearance at this upcoming event. 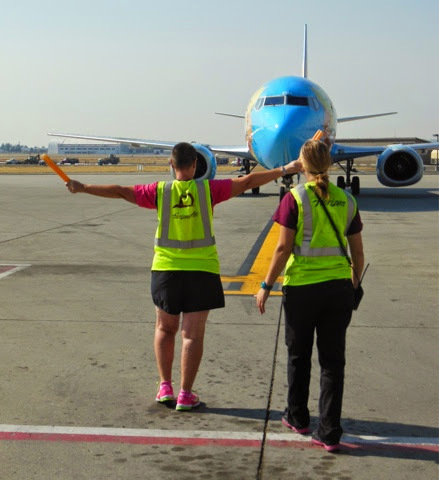 Another dream come true, the opportunity to marshall in and push back a 737-400 jet this morning for Alaska Airlines at Spokane International Airport! And it was the Tinkerbell themed plane to make it even more magical. Thank you to everyone who made this happen! One of the most profound moments from Pitch for the Cure yesterday. 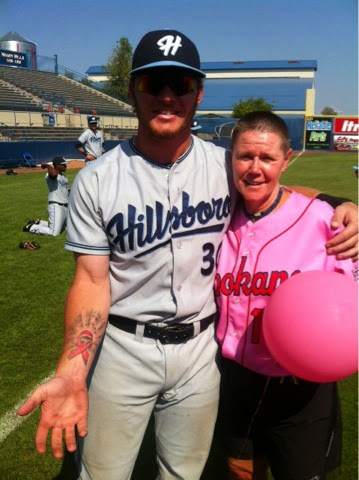 During Pre game warmups, Stryker Trahan from the Hillsboro team came up and shared his new Pink Ribbon tattoo in honor of his mother that just lost her battle. I gave him my balloon to release during the ceremony. He was deeply touched. 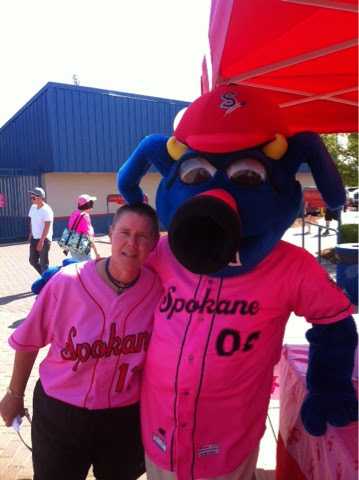 A great event here at Spokane Indians Pitch for the Cure! Delivered an inspiring message and did a radio interview with CBS Sports. 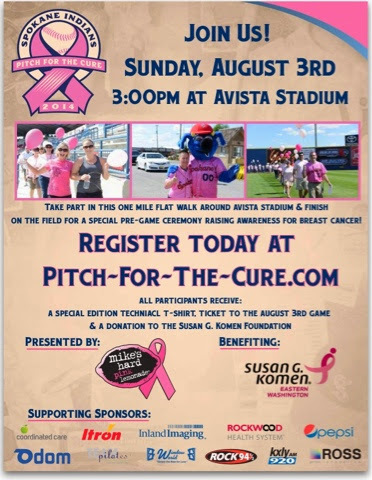 Looking forward to being apart of the pre game activities tomorrow at the Spokane Indians Pitch for the Cure. I will be out on the Promenade pre game. Stop by and say hello!